Pack of 100 Laminated strong cards with writeable areas for pupils' names. 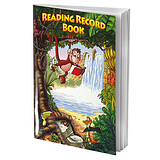 Each card has space to collect 16 x 16mm square stickers on the reverse, perfect for storing spelling rewards & using as a page marker. Each card is 125mm x 60mm in size. 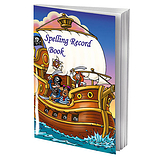 Designed for use with our pirate spelling record books to help your pupils develop great methods of learning spellings. Spelling Fact - ‘Uncopyrightable’ and ‘dermatoglyphics’ (the study of handwriting) are the longest English words in which no letter appears twice.